If you’re in the market for a new mattress, it’s often easy to forget about the pillows. But pillows are almost just as important – if you want to make sure that you have proper support and comfort, you need to invest in a good pillow. You can have the most expensive mattress in the world, but if you buy the wrong pillow, you’ll find that you can still end up having a horrible sleep. In addition, because pillows support the neck and head, having a bad pillow can also result in neck and back pain. There are quite literally thousands of different pillows on the market – it can be hard to sort through which ones are best for you. And just like mattresses, the types of pillows that are best for you will depend on your own preferences. There is no single pillow for everyone – there are a range of different factors that go into what type of pillow is best. In this article, we’re going to take an overview of all the different pillows on the market. We’re going to help you decide which pillow is best for you, depending on the type of factors you prioritize. It’s very important that you consider what you’re looking for when you try and decide on a new pillow. If you choose the right pillow, it can help drastically improve your sleep and can end up improving your overall health. What is Best Pillow for Neck Pain? As mentioned previously, one of the most important things to keep in mind is that everyone has different preferences. In the past, there were not many different types of pillow. Instead, there were just a few variations – people typically viewed softer pillows as the best. But as technology advances, there is a greater number of different pillows available on the market. You no longer have to confine yourself to just a few options. If you or your partner are trying to decide on what type of pillows to purchase, it’s important to sit down with each other and discuss what you value in a pillow. The one great thing about pillows is that you don’t have to worry about using the same one as your partner – you can each buy your own pillows. Regardless, think of the position that you sleep in, as well as the type of pillow that you enjoy. It’s important to assess these things if you want to choose a pillow that you will be able to sleep well with. One of the most important components of sleeping with a pillow is the position that you sleep in. Different positions require different pillows. If you consistently sleep in a certain position, it’s important to make sure that you purchase the pillow that is best for that type of position. Below we’ll take a look at some of the common ways people sleep and assess what they should be looking for when they purchase their next pillow. Side sleepers are extremely common. If you’re someone who sleeps on the side, you know how hard it is to change your sleeping habits. The downside about sleeping on your side is the fact that you create a lot of distance between you and the mattress. For this reason, you need to be very careful about the type of pillow you purchase – you don’t want to end up causing yourself neck pain or damage. Side sleepers are best to purchase pillows that are full and offer plenty of support. The pillow should be able to clear the gap between your head and the bed, all while offering enough support to keep your neck in a straight line. It’s very easy for side sleepers to hurt their necks by not keeping their spine in a straight line. So, when you’re looking for a pillow that is good for side sleepers, make sure that you have plenty of lift and support. Small, soft pillows are typically not the right type of pillow for side sleepers. We have a whole page dedicated to this topic if you’d like to find out more. Stomach sleepers are an entire different group of people altogether. Those who sleep on their stomach don’t leave much room between their head and their mattress. If you were to purchase a full, supportive pillow for a stomach sleeper, you’d probably end up damaging their neck. You don’t want to end up pushing the person’s neck upwards and creating an angle for their spine. For this reason, it’s often suggested that stomach sleepers use thinner or softer pillows. If you’re looking for something really comfortable, a very soft memory foam might be the best option for you. 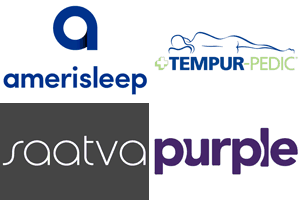 We have an entire page dedicated to helping you find the best pillows for stomach sleepers, make sure to check it out! Lastly, if you’re someone who sleeps on your back, you might be wondering what the best pillow type for you is. People who sleep on their back have a bit more flexibility when it comes to purchasing the right pillow. Regardless, it’s often said that you should be looking for a pillow with plenty of support for your neck and head. You don’t want to sink too far into the pillow or you might end up with neck pain. If you’re someone who sleeps on their back, the type of material included in your pillow doesn’t really matter – you can pick and choose. You can find great pillows that provide plenty of support using latex, memory foam, regular foam, or other common materials. Like the previously mentioned sections, we have an entire page dedicated to this topic – make sure to check it out if you have any other questions! Pillows aren’t all about the position you sleep in. While the positions you sleep in is important, the best pillow will also factor in other preferences that you might. In this section of the page, we’re going to take a look at some of the other pillow types that you might want to consider if you’re in the market for a new pillow. Memory foam has become all the rage in the American market – it is considered one of the most luxurious sleeping materials on the market. When Tempurpedic first made memory foam mainstream over 20 years ago, it seemed impossible that a normal consumer would ever be able to afford such a luxurious mattress. After they released their first mattresses, they also started to sell pillows using their famous memory foam material. These pillows give you the sensation of sleeping on a cloud. But it’s no longer just Tempurpedic that offers memory foam pillows – there are plenty of people offering high-end memory foam pillows for a very affordable price. 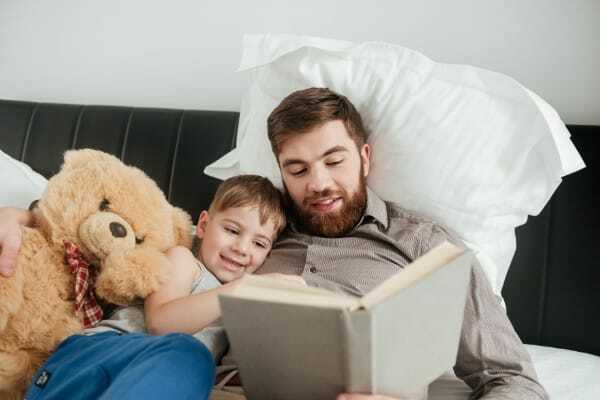 The key to finding the best memory foam pillows is understanding the advantages and disadvantages of some memory foam pillows. For example, memory foam is typically one of the most comfortable pillow choices on the market – but they’re not without their downsides. Memory foam typically retains a lot of heat because of how dense the material is – this type of material does not breathe well. For this reason, if you’re someone who overheats when they sleep, memory foam might not be a good option for you. If you prioritize a breathable pillow, the best memory foam pillows will be ones that have been redesigned to be breathable, or that have a variety of different materials that ensure that the pillow breathes better. Either way, if you live in a hot climate or you get hot while you sleep, the best memory foam pillows will always be the most breathable ones. Sometimes you just need a soft pillow. If this is the case, you have quite a few options available to you in modern times. Many people opt for memory foam pillows if they’re looking for something soft. But down pillows are also still very popular – they’re one of the softest pillows on the market and they don’t use the same level of synthetic material. If you don’t want memory foam or down, you can also purchase latex pillows that are extremely soft. The only downside to the latex pillows is that they have a bit more resistance than some of the other pillows on the market. If you want something truly soft, memory foam and down are your best options. If you’re headed on a long journey sometime soon, you know how important it is to try and get some sleep on the flight – it can help you feel refreshed when you land. But sleeping on airplanes can be difficult if you’re not in business or first class. This is largely down to the small amount of space you have, as well as the limited head and neck support you can attain while seated upright. But the right pillow can fix all of these problems for you – as long as you make sure to choose the best one. It’s too hard to take a regular pillow on a flight. They take up too much space and they can’t give you the right type of support when you’re sitting upright. If you want to purchase the best pillow for a plane, you need to purchase a neck pillow. Neck pillows wrap around your neck to provide you with support from all angles. Best of all, they hardly take up any space. If you’re a regular flyer, you’ve probably seen these pillows for sale in airports all the time. While those are a good short term solution if you’re in a rush, it’s important to do research on better pillows if you’re a frequent flyer. The best pillows for flight typically come with supportive foam – you should also look for one that clips together at the front so the pillow doesn’t come off if you change sleeping positions. As we get older, neck and back pain become more prevalent – this is especially true for those who work outdoors or in physical labor. You don’t want to end up using a pillow that does further damage to your neck, so it’s important to make sure that you find the ideal pillow. If you have serious neck pain or issues, it’s also important that you speak to a doctor or chiropractor before you decide on what pillow to purchase. A doctor will be able to work with you to find the perfect pillow for your particular situation. Learn more about the best pillows for neck pain here. The world is full of pollution and waste. When we think of trash, we often think of how long it lasts in landfills – but it’s rare that we consider the actual negative impact some of the world’s synthetic materials can cause. Mattresses and pillows are typically made from extremely synthetic materials. This is especially true with modern pillows that use a range of different foams and latex-type materials. If you want to cut down on the impact your pillow has on the environment when you throw it away, you might want to consider an organic material pillow that will have a better chance at being more biodegradable. While this in and of itself is a great reason to purchase an organic and natural material pillow, it’s not the only reason consumers often opt for this niche pillow type. 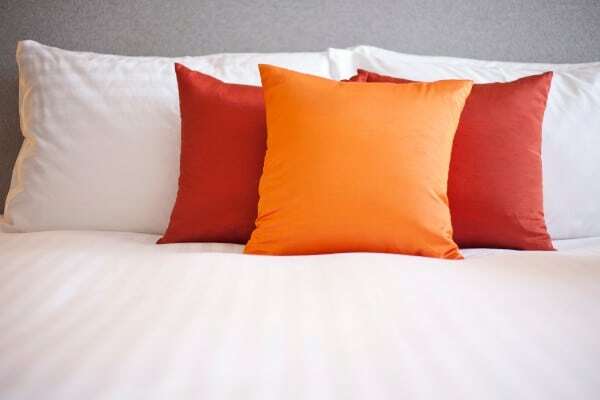 The chemicals that some materials in traditional pillows can be bad for you – considering how much time you spend with your head on your pillow, you can end up with a lot of exposure to these chemicals. Organic material pillows are typically more expensive, but they greatly reduce the level of chemicals that you’re exposed to – which is a great feature for anyone who prioritizes their health. There are more and more natural pillow producers in the market place, so the best one for you will depend on the type of materials you’re looking to avoid and the type of pillow you want to purchase. As you can probably tell, the most important part of finding the perfect pillow is understanding the type of pillow you need. But there’s more to a pillow purchase than just the touch – you need to also be certain that you’re purchasing a pillow that has a range of other benefits. With a wide variety of different pillow manufacturers on the market, you shouldn’t purchase an inferior pillow if you don’t have to. One of the major things to consider when purchasing a pillow is the warranty period. You want to make sure you’re working with a company that provides a decent warranty – at least 3-5 years. This allows you to replace a pillow if it is worn out – it also give you peace-of-mind that the manufacturer is willing to back their own products. On top of this, you should be looking for pillows that are durable – you sleep on your pillow every night, so it’s easy for ones that aren’t durable to get worn out. Next, you should be looking for a pillow that has a trial period – this is especially true if you purchase the pillow online. Many modern pillow manufacturers will let you try the pillow for an extended amount of time. This is a great feature as it truly allows you to get a feel for the pillow – you can’t know if a pillow is perfect until you use it for a few nights. Lastly, you should also be looking for affordability. With the amount of pillow manufacturers on the market, the cost of high quality pillows has drastically decreased. You no longer have to spend hundreds of dollars to purchase luxury pillows. If you want to get value for money, always look at a few different pillows before you make a decision. Comparing and contrasting features and prices will help you come to a better purchasing decision. While it’s not normally an issue, there are certain parts of pillows that you might be allergic too. This is especially true with some newer versions of pillows that use a range of different synthetic materials. Pillow manufacturers have to provide information about the materials that are inside their pillows, so make sure that you check their materials lists before you order any pillows. This is especially important if you’re ordering pillows for your children. In the past, furniture stores and other large department stores were the main providers of pillows. But as the traditional retail industry dies, there are more and more online providers of pillows. We actually suggest that you work with online pillow providers. They typically have the best deals – they don’t have to worry about the overheads associated with running a traditional store. For this reason, you typically save money on the costs of the pillow. In addition, many of these online providers allow you to return the pillow if you don’t like it – so there’s not much of a cost-risk. Amazon and plenty of other online retail stores also provide super-fast shipping, so you won’t need to worry about waiting for your pillow. With the amount of choice available online, you’ll also always have more variety if you look at different e-commerce providers. Don’t limit yourself to the small selection that many traditional retail stores carry. No matter what type of pillow you decide to purchase, it’s very important that you check reviews of the pillows before you purchase them. While online commerce has made it much easier to purchase pretty much any product, it’s also made it much easier for scammers to sell inferior products that are marketed well. Fortunately, there’s a few ways to avoid this. If you’re going to be purchasing your pillow via Amazon or another user-rated consumer store, you don’t need to worry too much. You can always check the reviews of the pillows via their website – it’s typically best to choose a pillow with good reviews that also has over 100 total reviews. If you’re going to purchase your pillow directly from the producer, it’s important to be a bit more careful. First you should check with review sites like ours to see if the pillow is recommended by people in the industry. If it is, you should then head to Consumer Affairs or the Better Business Bureau. These consumer watchdog groups keep tabs on companies to make sure they’re operating correctly. They provide rating systems that allow you to see how ethical a company is. It’s a great way to make sure that the company you’re purchasing the pillow for will be willing to honor their warranties. You don’t want to work with a company that has a history of wronging their customers. As you can see, a lot can go into deciding your next pillow. While pillows aren’t as expensive as mattresses, you still don’t want to waste money purchasing the wrong one. Make sure that you consider everything that has been mentioned in this article – it’s the only way to be certain that you’ll have all you need to get a good night’s sleep. Pillows are just as important as mattresses to the quality of your sleep. Don’t underestimate how critical they can be a good night’s rest. If you’re currently having problems with your sleep, you might find that a new pillow helps you get all the sleep that you need. The amount of choice on the market can make the entire process intimidating – but don’t let being spoiled for choice deter you from finding the best pillow for you and your partner. If you have any more questions about pillows or mattresses, make sure to check out some of the other information on our site. We have a range of different resources that can help you get the most out of your next purchasing decision. We also have a range of reviews and comparisons – all completely free of charge!